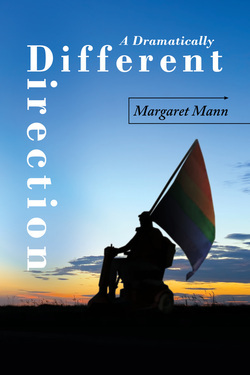 Margaret Mann is a writer and activist whose book A Dramatically Different Direction (CreateSpace Independent Publishing Platform, 2011) is an autobiographical commentary on disability. She is a bi-racial Unitarian/Buddhist, a lesbian, and a community organizer par excellence who makes her home in Hawaii. Margaret is a museum docent and a counselor. She brings a great deal of spiritual wisdom to our conversation. 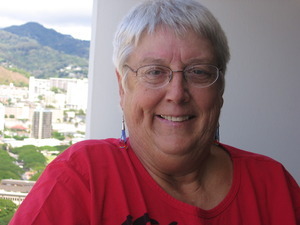 Margaret was raised in Hawaii by a Zen Buddhist father. She spent a few years as a Presbyterian Elder and participated in the early WATER years. She has had two important spiritual mentors, the Rev. Margee Iddings, and Buddhist teacher Bobbie Rhodes of the Providence Zen Center. She returned to her Buddhist roots in the early 90’s and has found a home recently with the First Unitarian Church in Honolulu where they fondly call her a U-BU. Margaret received the degree of Education Specialist (ED.S) in Rehabilitation Counseling from George Washington University, a Masters in Social Work from the University of Michigan, and a Bachelor of Arts from San Diego State College. She has been active in Re-evaluation Counseling, a peer counseling technique taught worldwide. She worked in Washington, D.C. for twenty years on women’s issues at the National Women’s Health Network, the League of Women Voters, the Older Women’s League, and the National Osteoporosis Foundation. She also worked on disability issues at the Disability Right Council and ENDependence Center of Northern Virginia. Since returning home to Hawaii in 2003 she has been a counselor and writer. A Dramatically Different Direction (CreateSpace Independent Publishing Platform, 2011). 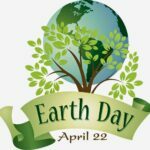 Email “Register Me Teleconference” to waterstaff@hers.com by Tuesday, April 8, 2014 in order to receive dial-in information.